Mustard vinaigrette recipe made from the last little bits of mustard in the jar. 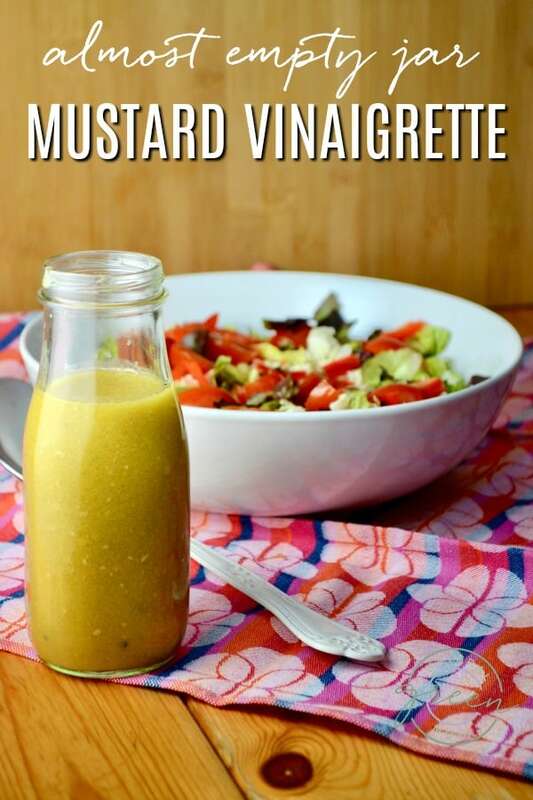 Not only does this recipe for mustard vinaigrette eliminate waste by using the last little bits of mustard, it also minimizes the number of dishes you need to do. The dressing can easily be made in your almost empty jar. Double win in my book! When your jar (or bottle) of mustard has about a tablespoon of mustard left stuck to the sides, it’s the perfect time to make this classic French salad dressing. 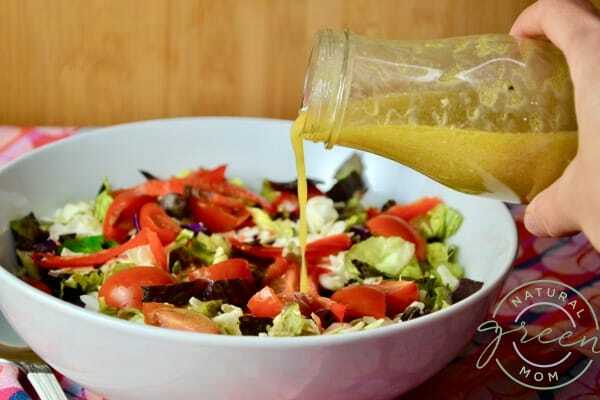 Mustard vinaigrette is best made out of a dark mustard – such as Dijon or stone ground. Therefore, I would not use yellow mustard. 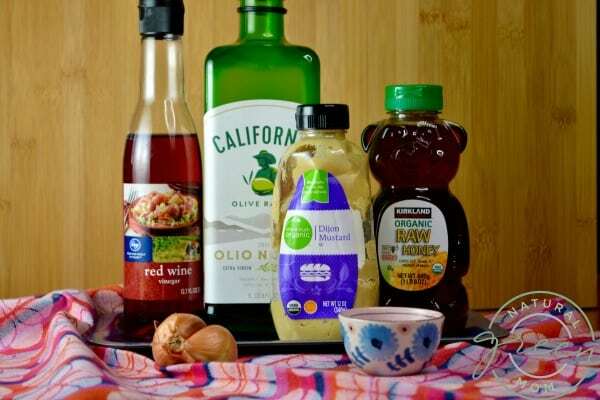 The flavor of yellow mustard isn’t quite right for this vinaigrette recipe. Make sure you check out my kitchen tip for salt and pepper. It’s another one of those silly simple shortcuts you’ll be glad you know. Once the main ingredients are gathered, you’ll need to decide if you want to make a sweet dressing or leave the mustard vinaigrette spicy. If you want to sweeten up the taste of your dressing, grab the honey jar. If you like more zing in your dressing, grab a shallot or a clove of garlic. In fact, you could even use some finely chopped red onion if you wish. Mix together olive oil, vinegar, salt and pepper. Add garlic OR add honey. Pour olive oil mixture into the almost empty mustard jar. Replace mustard jar lid and seal tightly. Shake to combine ingredients. Refrigerate. I like this recipe so much, I did a Facebook Live Quick Tips Tuesday video showing exactly how it’s made. If stored in the refrigerator, your dressing will last several weeks. Please note, the olive oil may separate out and harden in the cool temperatures of the refrigerator. However, once it is removed it will warm up and become liquid again and be ready for use!